The Adirondack Museum at Blue Mountain Lake, New York has again achieved accreditation from the American Association of Museums (AAM), the highest national recognition for a museum. Accreditation signifies excellence to the museum community, to governments, funders, outside agencies, and to the museum-going public. For almost forty years the Accreditation Program has served as the field’s primary vehicle for quality assurance, self-regulation, and public accountability, and earns national recognition for a museum for its commitment to excellence in all that it does: governance, collections stewardship, public programs, financial stability, high professional standards, and continued institutional improvement. Developed and sustained by museum professionals, the Accreditation Program reflects, reinforces, and promotes best practices, institutional ethics, and the highest standards of museum operations. The Adirondack Museum first received AAM accreditation in 1973, and was reaccredited in 1985 and 1998. Of the nation’s estimated 17,500 museums, 775 are currently accredited. The Adirondack Museum joins the Albany Institute of History and Art, The Strong Museum, The Long Island Museum of American Art, History, and Carriages as well as eight other history museums accredited in New York State. Accreditation is a rigorous process that examines all aspects of a museum’s operations. To earn accreditation, a museum first must conduct a year of self-study, then undergo a site visit by a team of peer reviewers. AAM’s Accreditation Commission, an independent and autonomous body of museum professionals, review and evaluate the self-study and visiting committee report to determine whether a museum should receive accreditation. While the time to complete the process varies by museum, it generally takes three years. 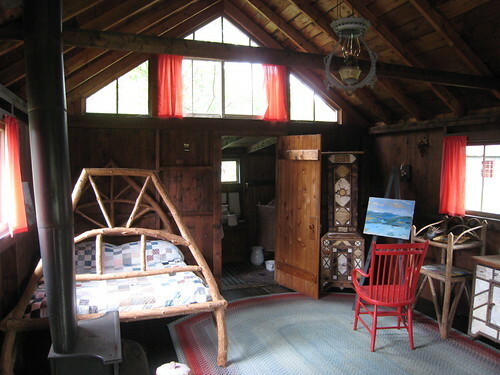 The Adirondack Museum will open for its 54th season on May 27, 2011. The museum will introduce two new exhibits – “The Adirondack World of A.F. Tait” and “Night Vision: The Wildlife Photography of Hobart V. Roberts” as well as offer a full schedule of programs, special events, and activities for families. The American Association of Museums has been bringing museums together since 1906, helping to develop standards and best practices, gathering and sharing knowledge, and providing advocacy on issues of concern to the entire museum community. With more than 15,000 individual, 3,000 institutional, and 300 corporate members, AAM is dedicated to ensuring that museums remain a vital part of the American landscape, connecting people with the greatest achievements of the human experience, past, present and future. For more information, visit www.aam-us.org . The Adirondack Museum tells stories of the people – past and present — who have lived, worked, and played in the unique place that is the Adirondack Park. History is in our nature. The museum is supported in part by public funds from the New York State Council on the Arts, a State Agency. For information about all that the museum has to offer, please call (518) 352-7311, or visit www.adirondackmuseum.org .